Ad spending within the automotive industry declined overall in 2009, but now we’re seeing an impressive surge in the amount of money dedicated to internet advertising. As outlined by a report produced by eMarketer there was a 14% surge in online ad spending in 2011, which pushed the amount of money used on those ads up to $3.24 billion. The projection of online ad money to be spent by the automotive industry for this year is $3.82 billion, and by 2015 the money allocated to internet advertising could reach up to $5.80 billion. Within the same eMarketer study it had been reported that the money which will be used for internet advertising is going to be largely syphoned from the money used for traditional advertising avenues like TV ads, print ads or billboards. But internet advertising isn’t the only place the auto industry is spending money online. Some of the money that is not being allocated to traditional advertising will be put towards SEOand other digital marketing tactics. This is an indication that the auto industry is also starting to place a greater focus on digital marketing as a method to draw in consumers. This trend is confirmed by a resource that discovered that all are already using digital marketing tactics. You may like: How to grab a big audience by streaming? 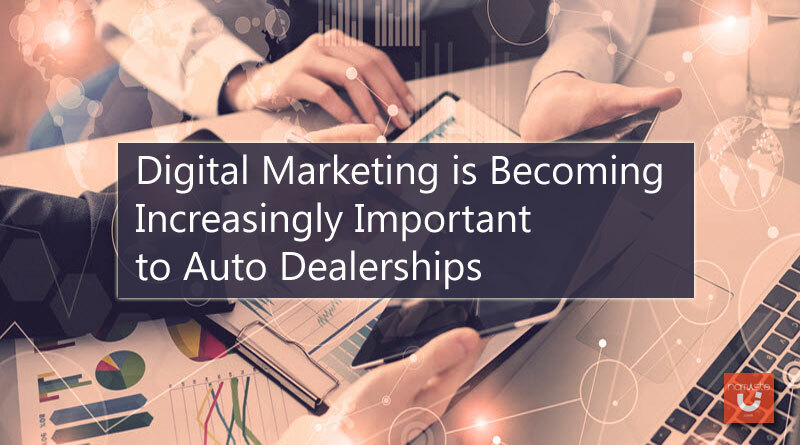 It’s no surprise why auto dealerships are spending more money on digital marketing, because now, more than ever before, individuals are using the Internet and search engines like Google to look for dealerships and vehicles online. As outlined by J.D. Power and Associates 84% of new-vehicle buyers are now using search engines throughout their car shopping process. Of these individuals, as indicated by a report created by Yahoo and Cobalt, 79% of customers utilize the different web crawlers to discover and investigate auto dealerships, and 72% depend upon search engines to assist them find the dealer they’ll visit. If you’re a dealership and your site isn’t ranking well within search results then you’re likely to be losing valuable leads. Revolution Magazine discovered that 87% of clicks that happen in search engines occur within the organic listings. 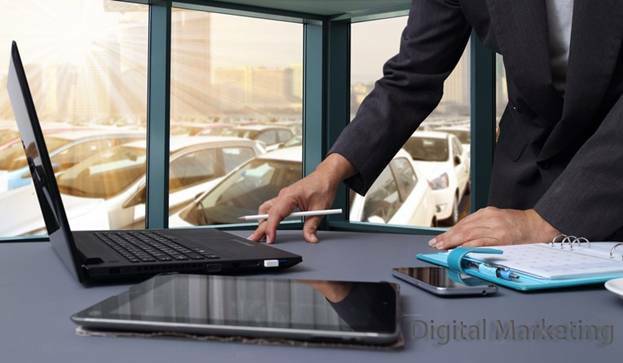 This is why a growing number of dealerships are beginning to make use of digital marketing efforts as their primary methods to get targeted traffic to their sites. By utilizing digital marketing, dealerships can reach consumers wherever they are on the internet whether it is in search engines, various websites or email. According SEO was the top tactic dealers utilized to drive traffic to their websites. This should not be a surprise as it’s found that SEO was ranked among the top two digital marketing tactics for strongest ROI, in addition to email marketing, according to Marketing Sherpa. Coupled with the fact that 68% of search engine users only click links which they find on the first page of search results, it’s no surprise that 41% of auto dealerships reported that they are using internet marketing tactics. You may like: Why Is Edge Computing Gaining Popularity Today? And that number continues to grow today. That’s because the importance of digital marketing cannot be overlooked if you are a dealership. The internet has become the main method in which consumers find dealerships and if you are not employing digital marketing tactics then you could be losing out on valuable leads. 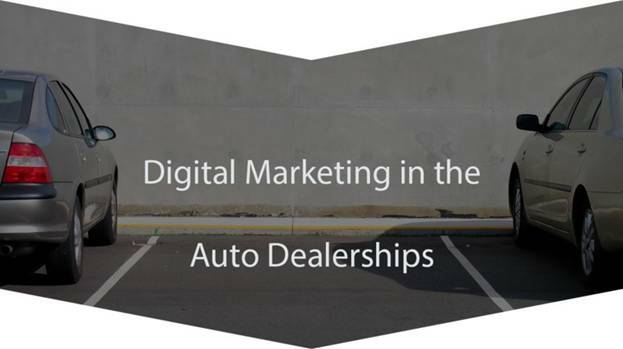 Being an auto dealer can be quite competitive, especially when it comes to digital marketing. With so many people using the internet to find it’s no surprise that dealerships are placing a focus on digital marketing. A full-benefit Los Angeles Toyota dealership serving Los Angeles County, Sherman Oaks, Studio City, and the whole LA area. If you are searching for Toyota vehicles using keywords Toyota Los Angeles or Los Angeles Toyota dealer, come to Keyes for your vehicle needs both new and pre owned automobiles, service and routine maintenance, tires, parts and auto accessories. Deanna is Marketing Manager and digital content editor with two years’ experience in the marketing industry. She’s execute and run marketing campaigns, build and design websites, write bespoke content, define SEO goals and help companies PhDify.com improve their overall digital marketing efforts.